My Grandmother’s quilts are among my treasured possessions. I remember her sitting by the window and piecing them by hand. I remember the quilt frame hanging from the ceiling in the “front room”. My sister and I played under it while she quilted. And then there are the unfinished bits and pieces I inherited. Granny had a series of little strokes and gradually lost the ability to sit still and concentrate on her quilts. I have some pieced sections that I’ve been carrying around for years. 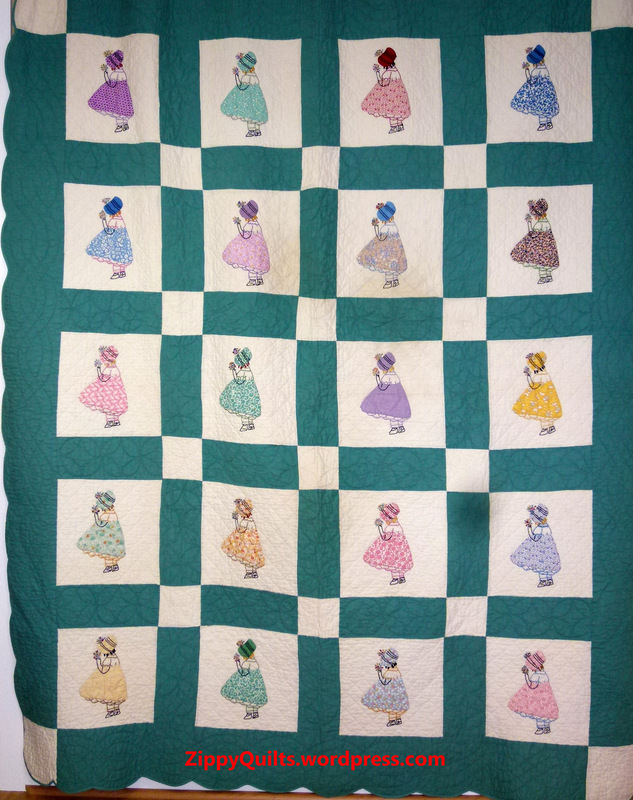 My Mother wasn’t a quilter, so she carried them around for years before leaving them to me. They’re old. And they’re lonely, because somewhere along the way somebody threw out the uncut fabric that must have gone with them. This piece may have been intended as one side of a square set on point? And then there’s the question of the seams! 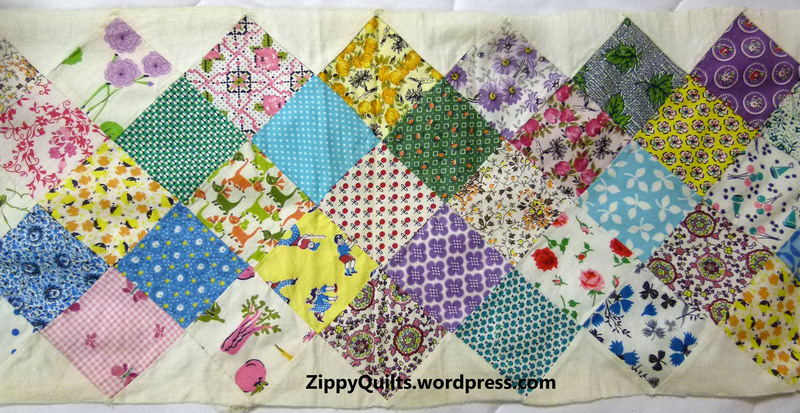 She pieced all this by hand with seams that are barely 1/16″!!! Will that hold up? Or should I re-work it all??? I’ve about decided the solution to the seams is to press as best I can (Granny finger-pressed!) and the back the pieces I have with batiste. From there I can add strips of muslin, which she always used for “background”, and see what I can come up with. Any other ideas? Anybody dealt with a similar situation? All suggestions welcome! I like a good challenge as much as the next woman. In fact, I’m happiest if I learn something new from each project. So I was happy to accept the current Michael Miller/Modern Quilt Guild challenge using Michael Miller’s (MM’s) spring pastel solids. 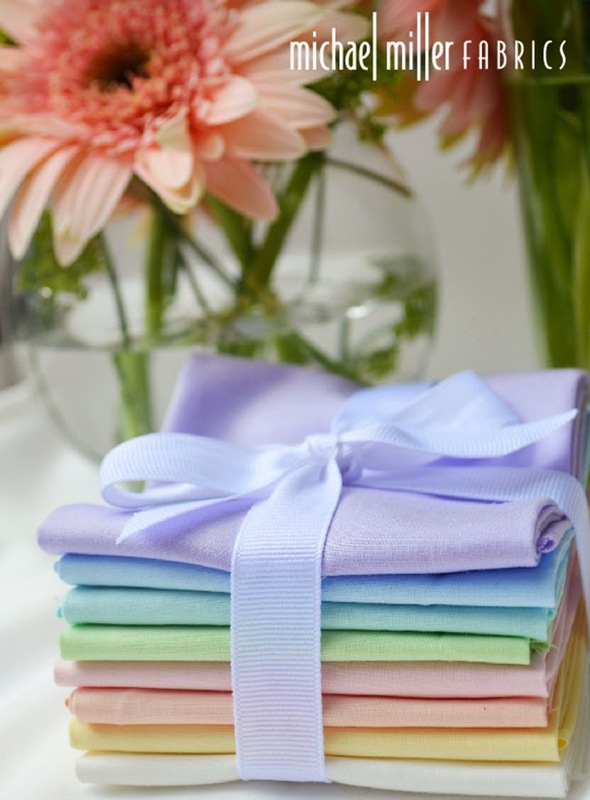 Michael Miller sent this package of Cotton Couture solids to all contestants. Like a lot of modern quilters, I don’t use pastels much. That’s the first reason this was a challenge. I decided that, since black is a great background color for brights, something dark but not black would be a good background for pastels. So I ordered cotton couture in indigo, eggplant, grey, and charcoal to give me a choice. After trying out each one with the fabrics provided by the MM people, I chose charcoal–always a favorite color for me! 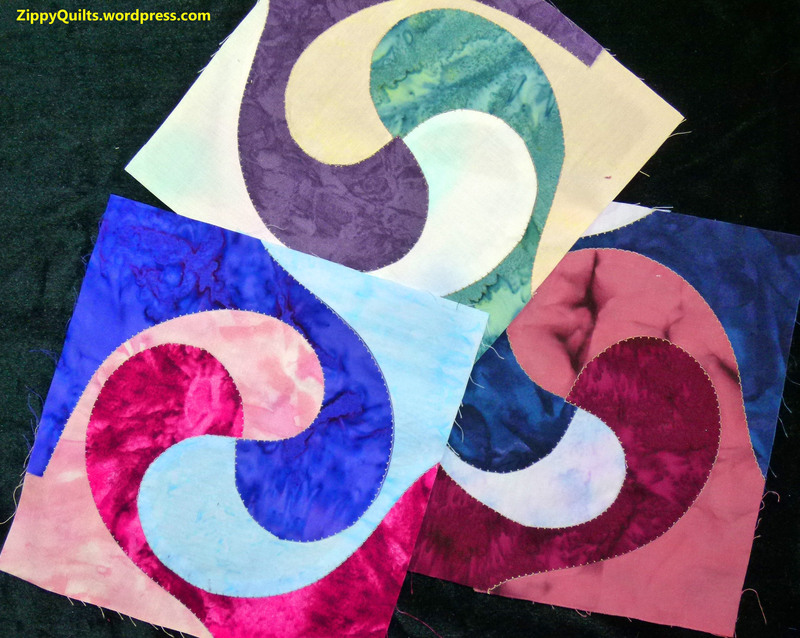 I designed the quilt with Electric Quilt 7 (EQ7) as usual, so I had an easy way to try out lots of different ideas. 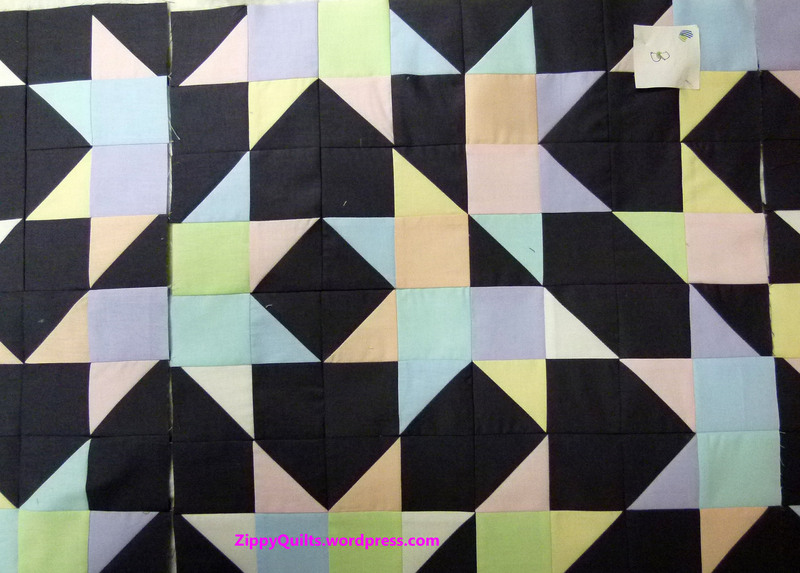 And please check out my Quilt Alliance donation quilt on Ebay. Here‘s the link. I’m so happy that it’s doing well! If you don’t know about the Quilt Alliance, check them out through this link. 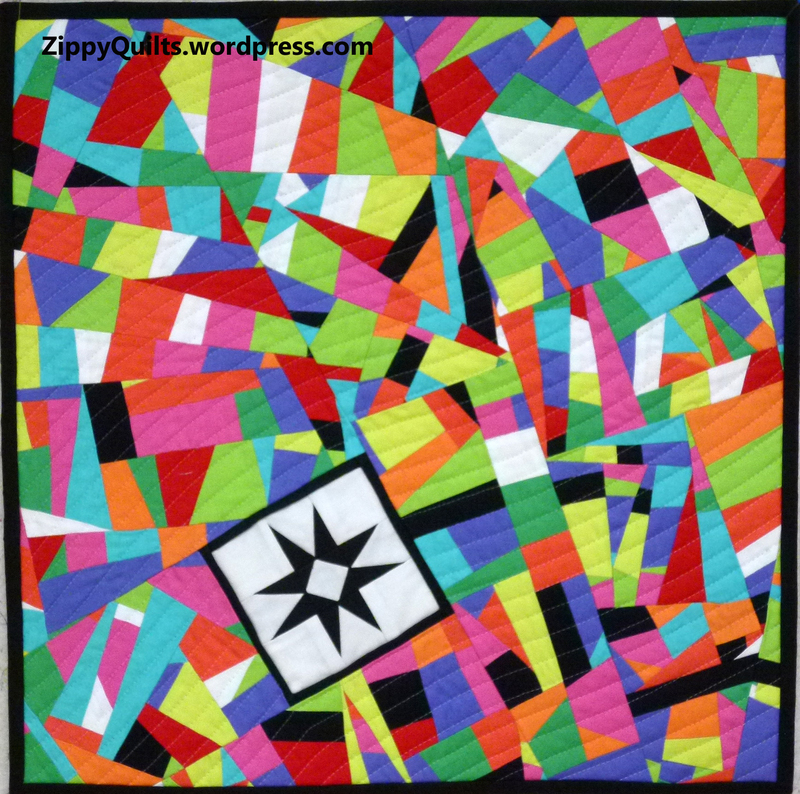 The Ebay auction of Quilt Alliance quilts is on! My quilt is included this week. All proceeds benefit the Quilt Alliance, so check it out HERE. 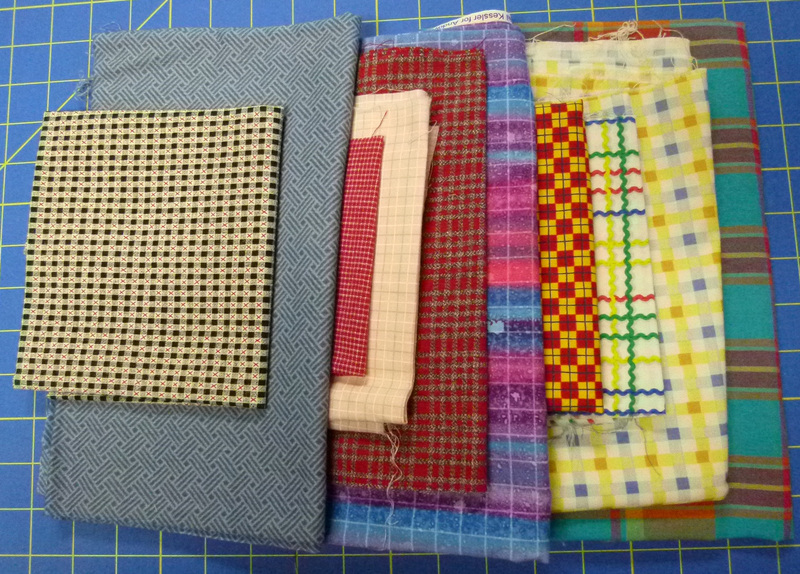 And check back again for the next 2 weeks, as there are 2 more groups of quilts yet to come! 1. Very large square ruler. 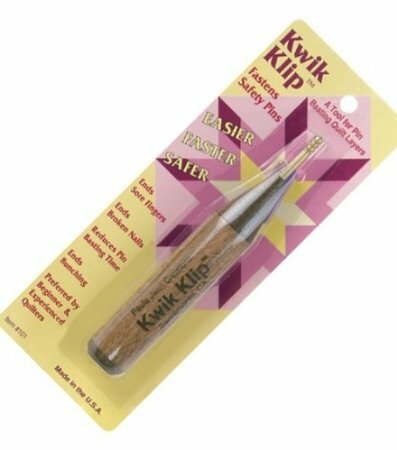 A friend recommended this, especially for squaring up quilts. It’s great! 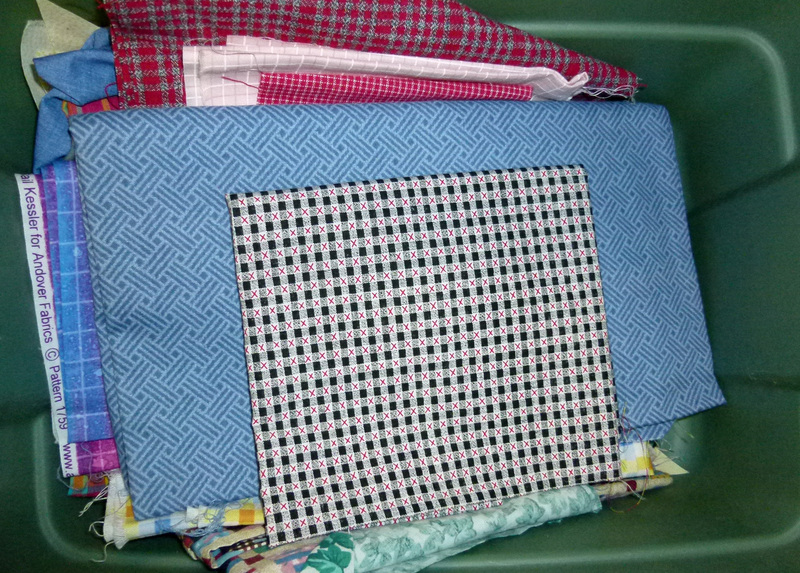 You can buy it here or here, and you can see a tutorial on how to square up a quilt here. The big square ruler is a great help. The largest I’ve found is 20-1/2″ square. 2. 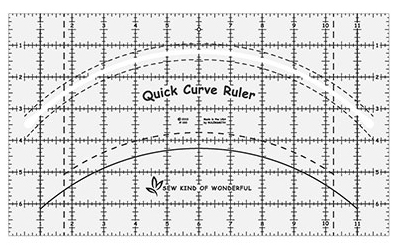 Curved ruler. I don’t have one of these yet, but I’m intrigued by Allison’s post showing a ring quilt made using this ruler. 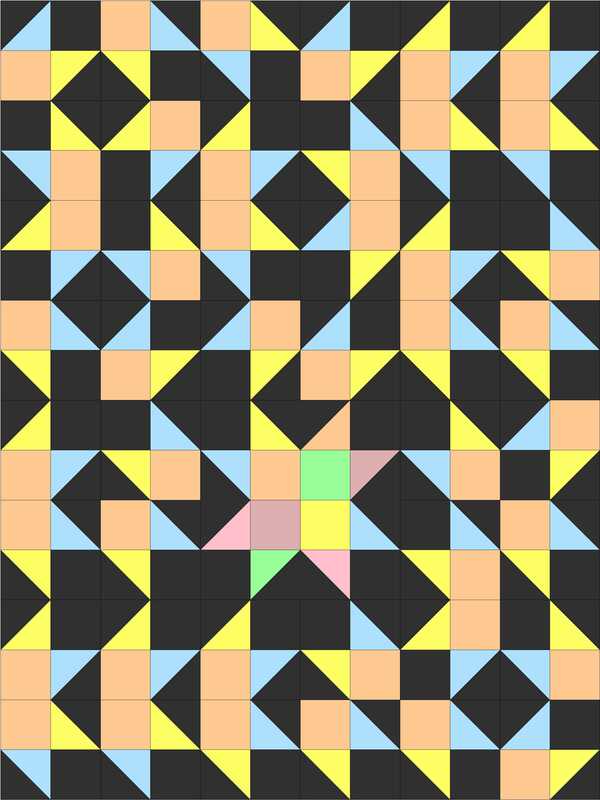 Looks like lots more fun than the usual way of making ring quilts! And of course there are many other possibilities for new designs with these curves. 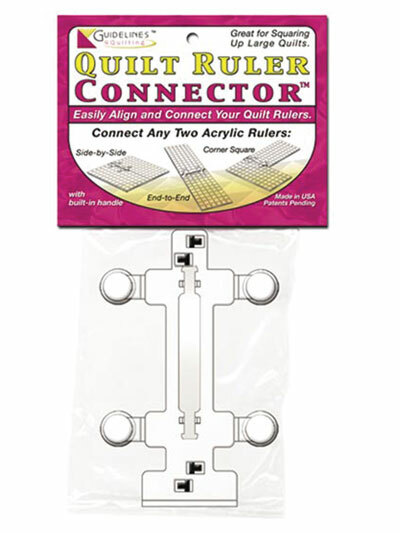 The Quick Curve ruler is available at Connecting Threads, among other places. 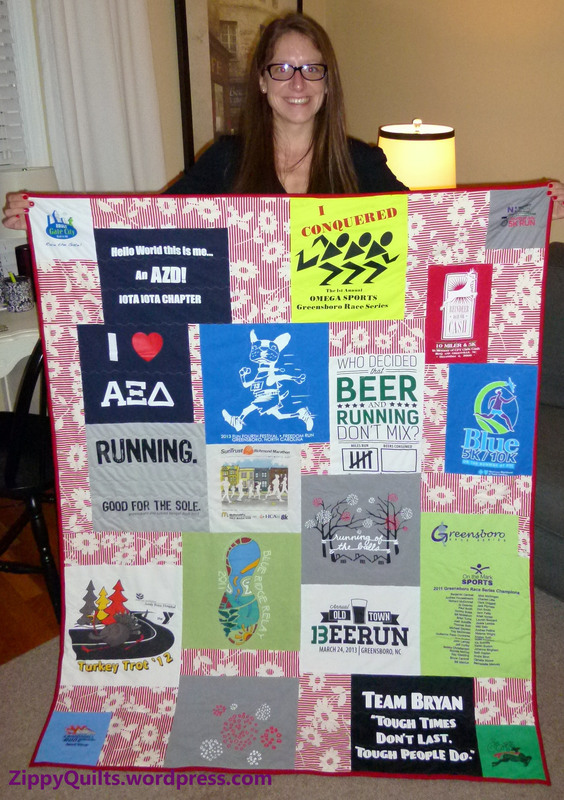 And here’s a picture of Allison’s quilt. 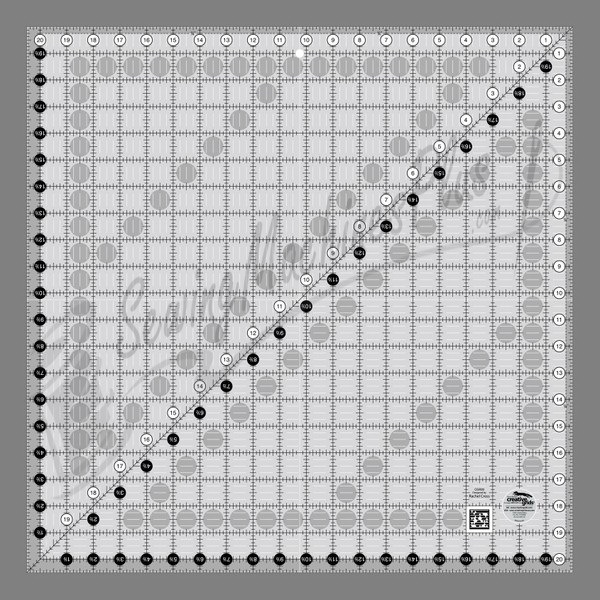 The pattern is Metro Hoops, by Sew Kind of Wonderful, the company that also makes the Quick Curve Ruler. 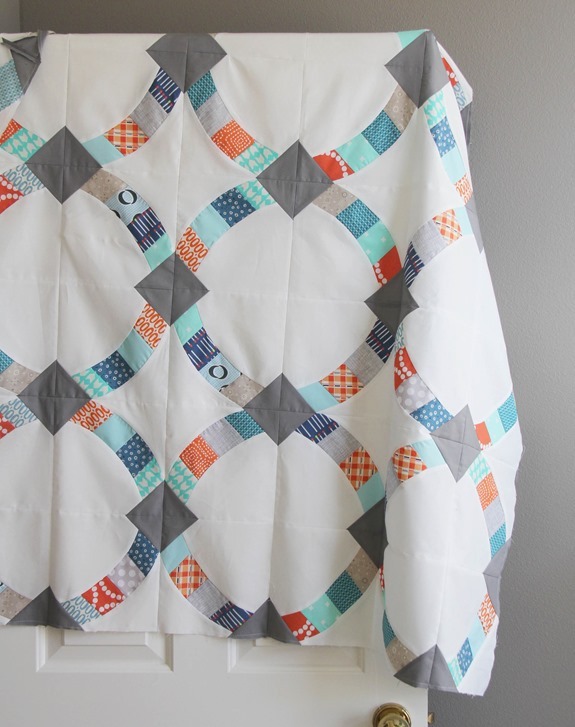 Allison’s review of the quilt pattern and ruler is here. 3. Batting tape. I use this stuff a lot to join scraps of batting. Sometimes I have the piece I need for a quilt, IF ONLY it were a few inches longer. Just use this to add a few inches and you’re good to go. 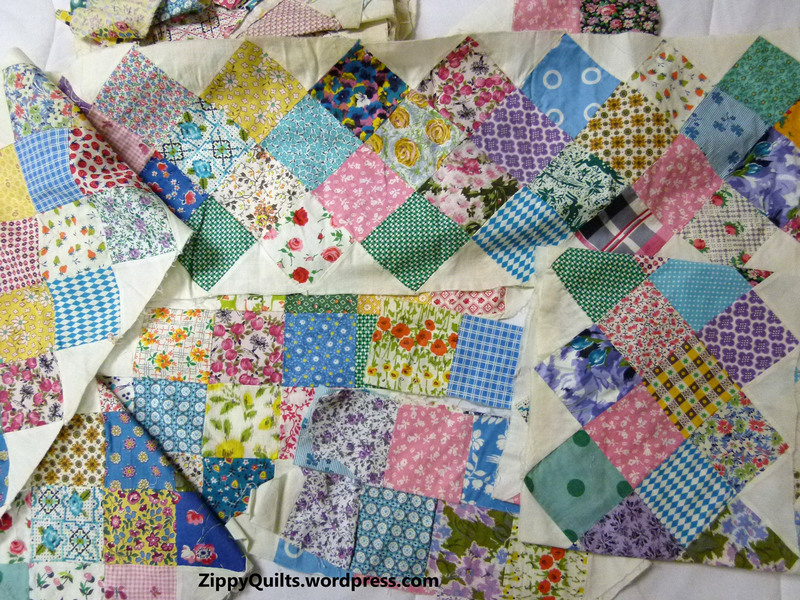 I’ve also joined two fair-sized scraps near the center to make a piece big enough for a quilt. I’ve had absolutely no trouble quilting through this stuff, and it doesn’t feel or look different once the quilt is finished. You can find it here or in many local stores. This looked like a good idea but it was no better than just holding the rulers together while I cut. What am I working on? My current project is the Michael Miller Challenge for QuiltCon. It is challenging in several ways that I’ll elaborate on in a future post. Meanwhile, here’s a picture of the progress so far. How does my work differ from others of its genre? 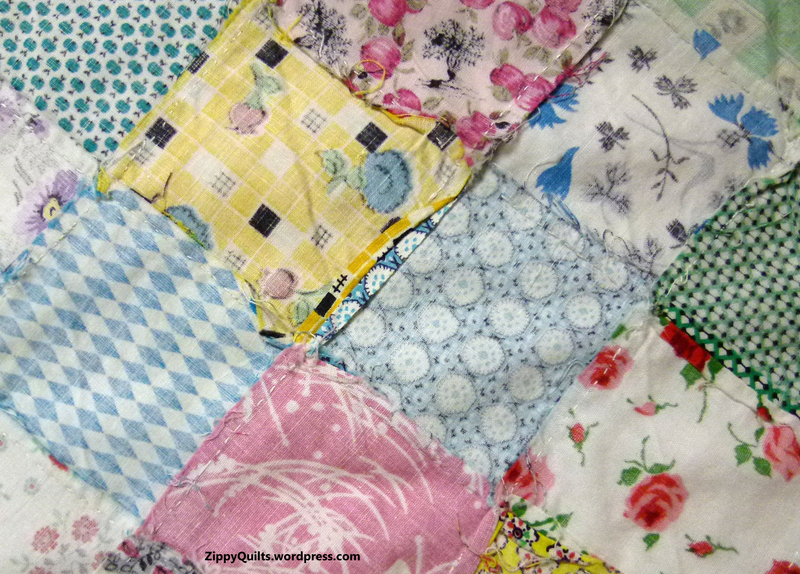 I enjoy making quilts with bold colors (one of the reasons the MM quilt above is a challenge with its pastels). I value good design over intricate workmanship and believe difficult quilts should be re-designed to make them easier. I focus first on the visual impact of the overall quilt, then on the details. Which is probably how I have more than once committed to making a quilt before I’ve quite worked out the details on how to do it. How does my writing/creating process work? I read/observe/learn everything I can and then work on a problem off-and-on until a solution comes to me. Then I make the quilt. I’m sorry to say I can’t really verbalize it any better than that. Around the World: I was tagged by my friend Melanie. 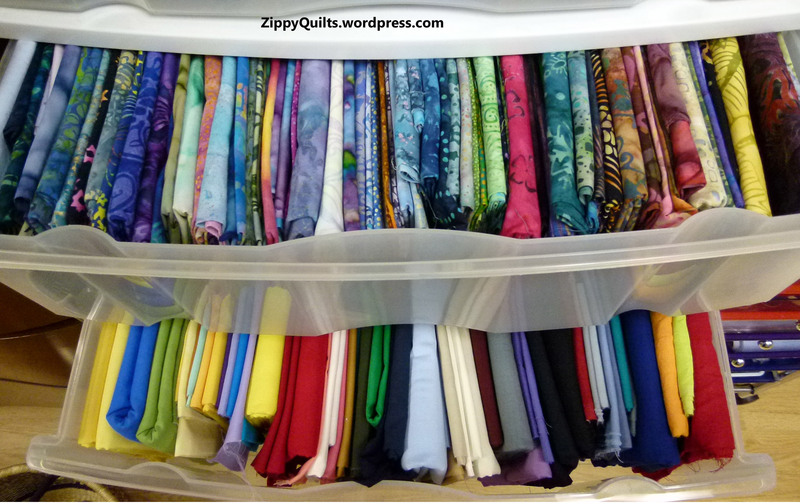 Check out this post about the worst quilt book she owns!. And I’m tagging Ann at Sew Messy, who is a pattern designer; Ann doesn’t yet sell her patterns on her site, but she has some fun pictures, so stay tuned. I’m also tagging Lyric at LyricKinard.com, who is an art quilter and teacher. Check our Lyric’s website and classes for LOTS of new ideas! I’m participating in the Around the World Blog Hop, and my post is supposed to launch tomorrow, so please check back! SewMessy.wordpress.com Isn’t that a great title? catbirdquilts.wordpress.com You may recall that I linked to Melanie’s articles on color last week. quiltineering.com Rachel is about to move to Japan, so look for interesting blogs coming up. redpepperquilts.com Rita has lots of beautiful pictures of her quilts. lyrickinard.com/blog Lyric is primarily an art quilter, so she has lots of ideas you won’t find in the usual quilt blogs. A lot of her techniques could be used to zip up traditional quilts.